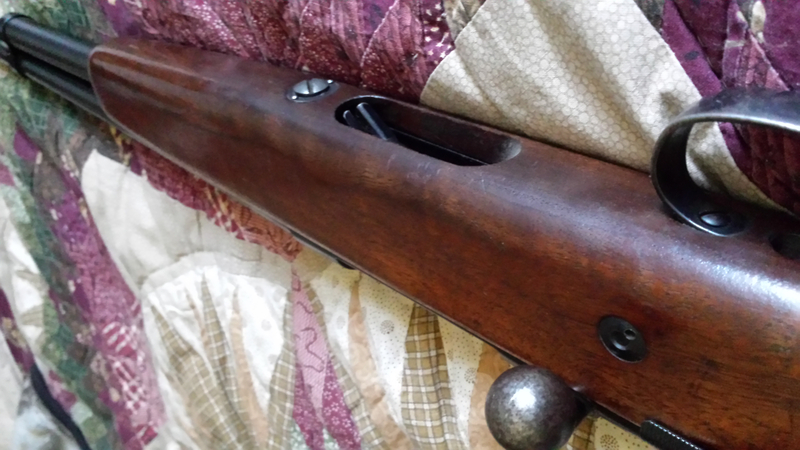 Could you identify this rifle? Hello, I'm new here and with knowledge of guns. Although I grew up around guns with relatives and kin using and enjoying them, it is only now that I am taking greater interest on them and its history. I'm a Jazz fan and there is a video of my favorite musician shooting a rifle. His name is Charles Mingus. And I'd like if someone could identify me the rifle used in the video, also, how many cartridges it carries, or any similar rifle could carry? Thank you for your time! Sorry, one more thing: what is that hole underneath the gun in which he mistook for the loading place? It appears to be a bolt action shotgun of the Mossberg persuasion. And that "hole" is the " loading place"...the guy doesn't have the slightest idea what he's doing. Yeah, thank you first of all. I certainly am not down with the terms, or official terms, if there are such. But, anyhow, I got confused: you say that the loading place is in the hole under it, however he did load the shotgun in the barrel didn't he? I don't quite get it. Mossberg shotgun, probably 20 gauge. The loading "hole" in the bottom is where the magazine (holding 3 rounds) is inserted. If you load directly into the chamber (from the top, as he did), the gun has a max capacity of 4 rounds. While he was a great jazz player, it's painfully obvious he needed to stay away from firearms pending some training. Honestly, this was a painful video to watch. While the audio was not high quality, I think I heard him say "anybody can do it". Well, yes, that's true, anybody can pull a trigger, but some people need a whole lot of training. He being one of them. By your own admission, you know little about firearms. No problem with that. We are here to educate, and do it very well. 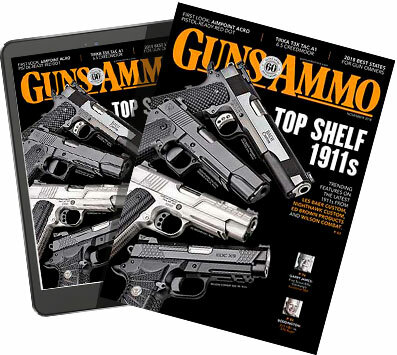 You can learn a wealth of firearm info here. But safety will always be of paramount importance, and the video you linked is the complete antithesis of this. He first tried to load it through the loading place, but then abandoned that for some reason and loaded it through the chamber. He then discharged in apparently in a house. To load it, you put three shells into the loading port, pushing them forward, one after the other. He apparently did not know this. Hate to disagree, but I've never seen a bolt action shotgun that fed from a tubular magazine. All I've ever encountered were fed from a bottom feeding magazine, just like a bolt action rifle. Of course, I haven't seen everything, but with a few exceptions, I keep hoping. Learn something new every day. Never saw a tube fed bolt shotgun before. Didn't know such even existed. Thanks for that info. I learned today too. I didn't even have a clue there was such a thing as a bolt action shotgun of ANY type! My ex stepbrother had a Mossberg bolt action mag fed 20 gauge. It patterned extremely well regardless of shot size, but if you needed more than one shot, the issue was always doubtful. It was a jam-o-matic from the word go. I used a Remington 12ga bolt action shotgun extensively when I was a kid. I also had and shot a Montgomery Wards 20ga bolt action shotgun some years ago. They both functioned reliably, were utilitarian in nature, inexpensive to purchase, and required little in the way of maintenance. They were also easy to operate. Kind of like a hundred dollar Briggs & Stratton mower. Add oil if low, fuel, pull cord to start, dispose/replace after failure. One of my favorite bunny busters Mike. JC Higgins 20 gauge it has taken lots of game. Mossberg Goose Gun was a bolt action shotgun. Never saw much need for one.